EAVI are thrilled to host Renick Bell as part of our Music Computing Seminar Series. 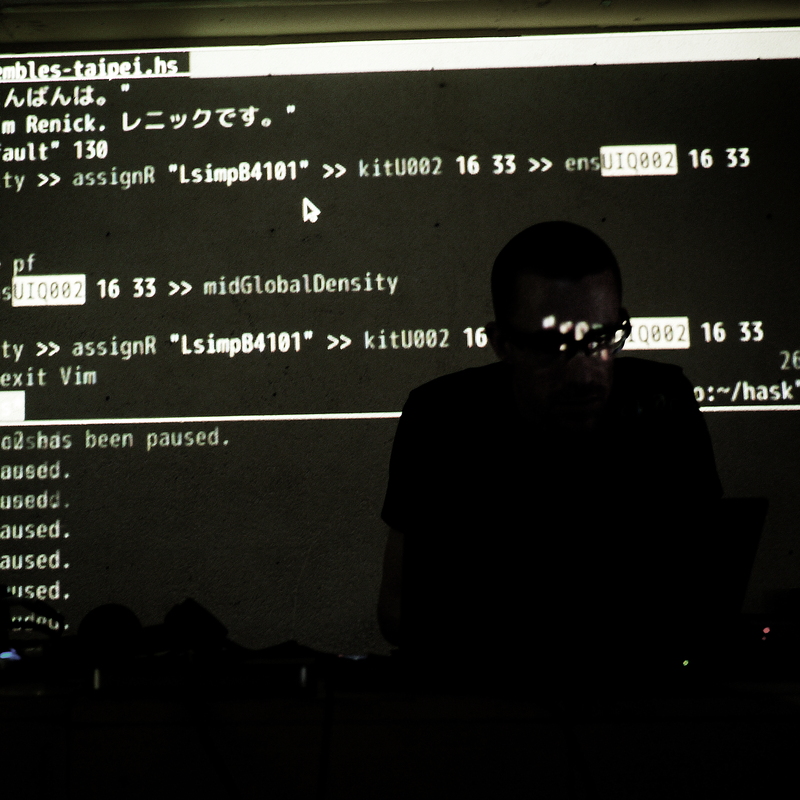 Renick is a live-coder (or “algoraver“), creating complex, shifting rhythmic soundscapes through programming on-the-fly in Haskell, combining the flow of improvised music with body-pounding techno. He is passing through London on his European tour, and has just released his first 12″ on UIQ, and has forthcoming releases on labels including Quantum Natives and Halcyon Veil. We’ll be dusting down the PA so Renick can play some music and talk about his performance practice, programming and creativity, and how he uses the computer as a musical instrument.